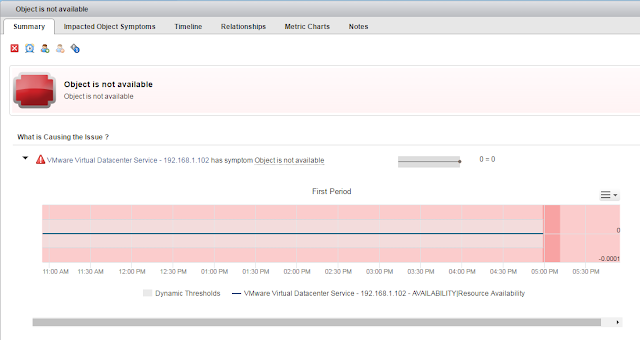 StorageGumbo: vR Ops Alert "VMware Virtual Data Service" Is Not Available - What to Do? vR Ops Alert "VMware Virtual Data Service" Is Not Available - What to Do? Running vR Ops in my home lab and noticed that a couple of VMware services were down thanks to the EPOPS agent. 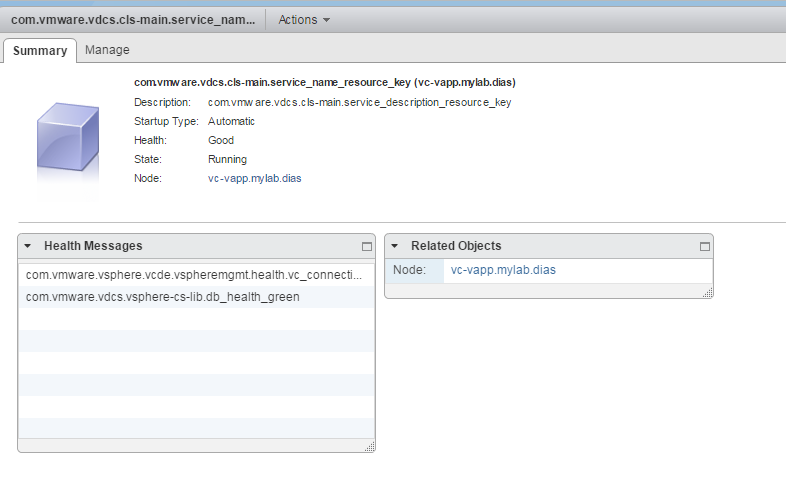 One of those was sort of a mystery, the "VMware Virtual Data Service" which I will shorten to "vdcs" for this post. Turns out that this service is responsible for the Content Library and Transfer services. When you look for the service within the vSphere web client you won't find it listed under a friendly name but rather by the "vdcs" abbreviation (the full name is com.vmware.vdcs.cls-main). I attempted to start this service from the web client and it didn't return an error in the UI but when I refreshed, it was still not running. So, off to the logs! The log file for this service can be found in /var/log/vmware/vdcs/wrapper.log and there I saw the problem! ERROR | wrapper | 2016/08/22 19:28:26 | 4728 pid file, var/log/vmware/vdcs/vm ware-vdcs.pid, already exists. And give it 5 minutes for vR Ops to check on things. My error is now cleared! Fortunately, I have vR Ops to report this - otherwise I would not have known that this service was down until I needed it to be up! Thank you so much for this hints!